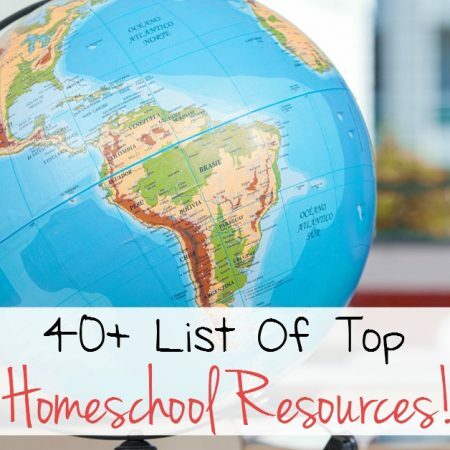 Homeschool Classifieds: The best homeschool resource list on the web! Navigating the waters of homeschooling resources and tools can be extremely exhausting. Especially if you’re just starting out. It is SO overwhelming! I’m always asked about what I find are the best of the best. So here it is. All in one place for you. Keeping it simple. These are the best of the best! Let’s get to it! This post may contain affiliate links. This means that any purchases made through these links may allow me to earn a small commission. This is at no extra cost to you and I hope this helps you find the resources that you need. * Home Learning Year By Year: This book will outline exactly what your child will need to know for each grade level. It offers suggestions on books to read by grade and other resources. This book helps you to build your own homeschool curriculum as well. * Teaching From Rest: This is an amazing quick read that will encourage you to stress less and go with the flow of life and ENJOY your homeschooling journey. I recommend this to all homeschooling families! * The Unhurried Homeschooler: This book is so encouraging to anyone who is burned out with homeschooling or wants to avoid ever getting to that point to start with. Easy read packed full of great advice! * ABCmouse.com is a fun teaching tool for younger kids. It’s not just good for learning to read, but also other areas of learning. You can read my extensive review on this tool here and see why I love this resource so much. Want to try it for free? >>> ABCmouse.com – First Month Free – Click here! * Phonics Pathways: This book was a game changer in our home. We tried 3 other “teaching books” for reading and they all ended in tears. This book is SO much easier and flows better. Just one page a day and my son was reading in less than 3 months. Can’t recommend this book enough! * Teach Your Monster To Read: This was such a fun reading game for my son to practice all of his new reading skills. It’s 100% free and kids seem to REALLY enjoy teaching their little monsters how to read. Both of these curriculum packs are ones that I created myself for busy homeschooling parents. I felt so overwhelmed planning out curriculum. It literally took up HOURS of my time each week. So I created these easy to follow print and go curriculum where there is ZERO planning on your part. ENJOY your homeschool and stress less! * Preschool Curriculum: Teach your kids everything they need to know before they hit Kindergarten in as little as 10 minutes a day. Super fun for kids and easy on parents! * Kindergarten Curriculum (8 full months! ): This is full on curriculum for Kindergarten. Every single lesson is planned out. No need to stress out with homeschool planning this year! Just print and go! Just starting out homeschooling or a seasoned homeschooler? I’ve got something that is right for you! These courses will encourage you to make the most of your homeschooling journey! * Homeschooling 101 is a great course for those just starting out. It covers all the basics on how to get started, figuring out your child’s learning style and more! * The Ultimate Homeschool Life Management Course: This course will show you how to balance everything in your daily life while finding time to homeschool. It covers meal planning, house cleaning systems, finding “me time”, and SO much more. Find the balance you crave so you can enjoy this time with your precious little ones! * Timberdoodle: I’ve used this curriculum every year since my son hit first grade. I love that it’s all hands on and that it’s SO easy to follow. This is a boxed set so it includes everything you need for the year. Super easy! *Apologia: Offers Christian based homeschool resources, curriculum, books, and more! *Calvert: Offers homeschool curriculum kits for Pre-K through High School. * Accellus (Power Homeschool): This is a complete online homeschool curriculum. It’s $25 a month and includes lots of subject options. I use this on my sick days and to help fill in any missing gaps in our other curriculum. I love it because there are actual teachers in the videos that teach your children all of these concepts, sometimes in a better way than I can myself. As the parent you also have access to all of your child’s lesson reports and extra printable worksheets. There are so many things to navigate in the homeschooling world. Sometimes you just need a little insight from someone who has already been there. I hope you found this helpful. Happy homeschooling! CLICK HERE to follow my Teachers Pay Teachers shop to get my new freebies and products!